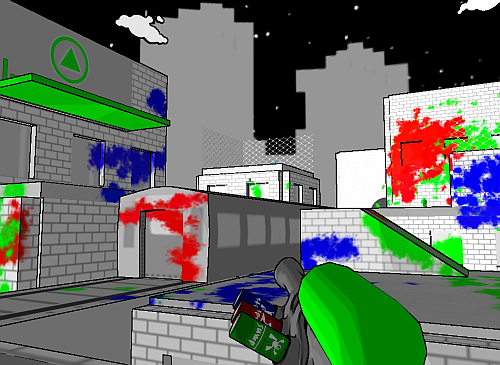 Tag: The Power of Paint is a free, first-person puzzle platformer which lays emphasis on the players' ability to change their environment, by just painting it. Enjoy a unique and emergent gameplay experience, as you travel through highly stylized level, using your endless supply of paint to make your way to the goal. 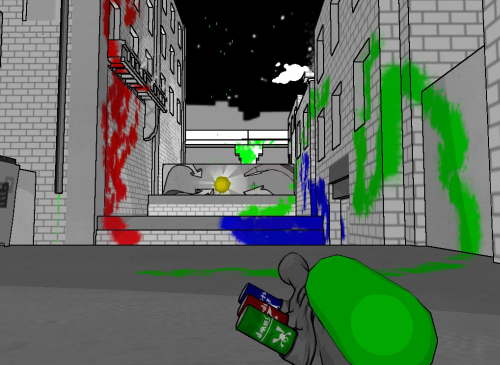 Currently, there are 3 different paint colors available, and each one empowers the player with a different ability upon contact with the painted surface. They are: Green - Launch off the surface; Red - Speed boost; Blue - Stick to the surface.